“Climb!” is an artistic research project carried out by composer and pianist Maria Kallionpää in collaboration with Mixed Reality Laboratory of Nottingham University and the Sound and Music Knowledge Group of Aalborg University. The composition was premiered by Kallionpää on 9th of June at Nottingham University. More performances will follow on various festivals and concert programs in 2017-2018. Climb! 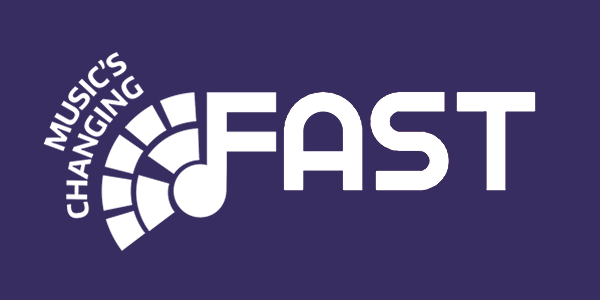 is a musical composition that combines the ideas of a classical virtuoso piece and a computer game. 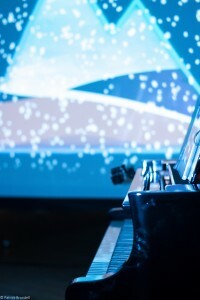 Written for a Disklavier grand piano, the work engages the pianist in an unusual musical dialogue where there is no fixed musical form: the performer’s/gamer’s actions define how the story continues. As the performer plays key passages, so both the music and the instrument respond, jumping to new points in the score, transforming the sound, or independently playing along with them – physically in the case of the Disklavier. An interactive system like this resembles “an invisible chamber music partner” leading some musicians to claim that electroacoustic works can never be treated as solo compositions, but should instead be seen as “concertos in a modern guise”. Like a computer game or the World Wide Web, Climb! is non-linear, with a branching structure that guides the performer along different routes through the work. It consists of three macro-compositions called paths with some links between them. Various micro-compositions are then dispersed along each path. Within these micro-compositions musical challenges or choices are presented which determine, depending on how the performer plays, whether they continue to progress along their current path or be diverted onto another one. As a performing pianist I grew up with the Classical Romantic virtuoso repertoire, which would have impacted on my aesthetical development as a contemporary composer. My DPhil thesis at the University of Oxford focused on piano as a super instrument. The main purpose of my artistic research project was to explore the ways of expanding the technical capabilities of a human pianist, thus making a classical music concert performance into something more than the sum of its parts. Climb! can be seen as a direct continuation of my previous artistic goals and research interests. On top of other kinds of compositions that I have written recently (for example, orchestral works and two operas) I have composed many acoustic and electroacoustic works for piano. Nonetheless, after writing all those pieces I still thought that it might be interesting to approach the concept of virtuosity from a more innovative perspective. I was thinking of creating a “music engine” that would provide the performing musicians such technical capabilities that would not normally be accessible (such as, for example, enabling them to play simultaneously in several octave ranges, change the tuning in the middle of the piece, or play in overwhelmingly fast tempi that would be impossible on regular concert instruments) but the question about the musical form of such a composition remained open. I and the music psychologist, composer Hans-Peter Gasselseder later got an idea of combining the concepts of a computer game and a classical virtuoso piece (The Imaginary Friend: Crossing Over Computer Scoring Techniques and Musical Expression. / Kallionpaa, Maria; Gasselseder, Hans-Peter. Electronic Visualisation and the Arts (EVA 2016)), which then gave the dramatic structure for the Climb! composition. Because the composition was also supposed to be a game, the first step was to decide its narrative and to define the musical equivalences to each turn of the storyline. We ended up using a story about a person climbing to the top of a mountain: along the way they face different events, obstacles, weather conditions, dreams, people, and animals, to mention a few examples. The music does not attempt to reflect each dramatic turn literally but is mainly an abstract description of the overall dramaturgy. Like in any game, the narrative (and thus also the composition) changes depending on the gamer´s actions in the virtual environment: because of this each performance of “Climb!” is different. I composed “Climb!” during 2016-2017. 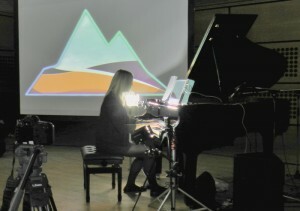 It was performed for the first time in June 2017 at the Djanogly Recital Hall, the Nottingham University, where the audience members were also invited to use a specifically designed smartphone app on which they could follow the progress of the game and get information about the composition. During and after the concert performance some audience feedback was collected with the help of questionnaires and interviews. The first performances have been played by the composer herself but more pianists have been invited to play “Climb!” in later concert performances during 2017-2018.